Get an instant free online house valuation in minutes to find out how much your property is worth today using our simple calculator. In the property selling process, knowing the current value of your house helps you in negotiating the final price. An online property valuation is a fast way to get a free estimate value of your house, flat or any type of property and an informed and objective estimation of the worth of your property in the current property market. If you’re thinking of moving home or letting a property, conducting a valuation is an essential step in the process. Contact us today at 0121 544 9595 for a free valuation. Challenge us to sell your home within 21 days. A performance driven brand. Get your required selling price or pay no fees*. Try one of our cherry picked tenants. Be impressed. We manage & guarantee the rent of over 1,000 properties locally to you. You may prefer to talk to us on freephone 0800 862 0870 or 0121 285 5005. 1. Complete our simple form. 2.  You don’t need to enter your full address, simply enter your postcode and select your address from the options. Select what type of valuation you would like (Sales, rentals or both), and how many bedrooms your property has. 3. Answer a few short questions about yourself like name, email, phone and our free calculator will instantly give you an estimate of the value of your property. You’ll also receive an email in your inbox confirming the valuation and the next steps available to you. 4. When calculating the value of your property, there are a number of things the calculator doesn’t take into account such as any adjustments to your property. To give yourself a clearer image of the true value of your property, we highly recommend that you book a full market appraisal with one of our expert team. One of the most important factors that affect property value. If you ask any estate agent, the location will be at the top of the list. Even if you were a home buyer yourself, the location of the property will affect your buying decision. If the property is in a top location, you will be expected to pay a higher price. Another important factor that affects how much a house is priced at would be it’s access to public transport. Properties near bus and train stations, as well as those near supermarkets, parks and hospitals, are preferred by more buyers and sellers can demand higher prices. How long the structure has been in existence is also a deciding factor on pricing a home. Normally, the newer the home, the higher the price will be simply because the structure is almost new and no major repairs and renovations are needed however there are homes that have been built decades ago and are still worth far more than the modern homes. Supply and demand – the number of homes for sale versus the number of buyers. Economic market principles determine what value any commodity will have at a particular time. The supply of property is relatively fixed at any one time. Excess supply will cause prices to fall. Size and number of rooms, construction quality, appliance condition, heating type, energy efficiency, etc.